The operation launched by the Forest department in the Jungles of Jamboti, Khanapur taulka have yielded no result as of now. 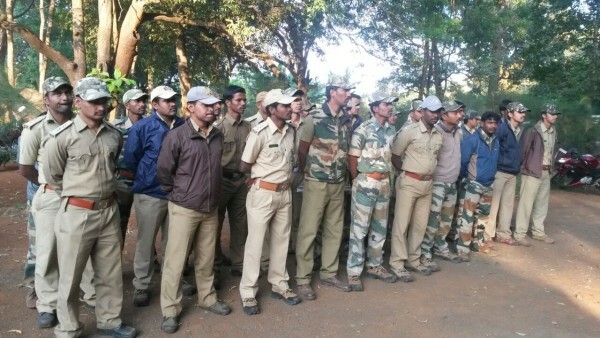 Nearly 30 staff members of the Tiger Protection Force from Mysuru and a team of four Soliga tribesmen have arrived today and have joined the search operations. 12 teams of nearly 80 staff members have continued combing four selected locations. A round-the-clock control room has been set up, the officials in the Department of Forests. Previous articleTiger Spotted in Torahalli village ? instead of protecting they killed, they are not tiger protecting force they are tiger poaching force.